To advance Catholic social teaching by educating and preparing parishes to work for soci​al justice. and for all the ways that you support the important work of social justice ministry! Become an Associate for Justice! by clicking on the button above. 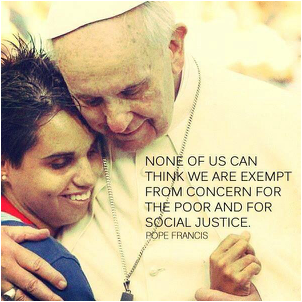 Social Justice is an integral part of Catholic teaching. Working to raise awareness of global issues that impact both our neighbors around the world and in our own communities.